Race and bigotry are obvious themes in this year’s Primary elections leading to the Mid-terms. Here are some thoughts on Bias and Bigotry from a variety of American literary sources. This piece by Peretz is as clear an article about the Jewish democratic state of Israel within the Green Line as opposed to the non-democratic Israeli administration of the West Bank as I’ve read in quite some time. I highly recommend it. Though we’re always living forward, the life lessons we learn help to shape our future. Since this is the season of self-examination leading to the High Holidays, I offer a list of 32 life lessons I’ve learned – there are others, but the number 32 is a significant one in Jewish mystical tradition. It equals the 22 letters of the Hebrew aleph bet plus the 10 “words” of the covenant, and it’s the number equivalent for the Hebrew word lev (lamed – bet), heart, which the mystics teach are the number of pathways to God. I offer the following as a hedge against the toxicity in the political environment in this country in these days leading to the High Holidays. Some of these I’ve borrowed gratefully from a journalist named Regina Brett and published in the Plain Dealer from Cleveland, Ohio (hers are in italics). They’re not necessarily a way to God, but a means to a healthier, wiser, and more sacred way of living, at least as I’ve come to believe in them. God gave us life and our natural abilities only – everything else is either up to us or a result of dumb luck. Life isn’t always fair, but it’s still good. Life is short, so cut your losses early. Begin planning for retirement as a teen by developing your passions and interests, for they’ll sustain you when you get old. You don’t have to win every argument, so at a certain point stop arguing. Love your spouse/partner above all other people and things. If you aren’t married, then nurture the special friendships in your life. Don’t compare your life to anyone else’s as you have no idea what their journey has been all about. If you can’t publish what you want to say or do on the front page of The NY Times, don’t say or do it. Try not to speak ill of anyone, but if you must, do so only with trusted friends and then only so as to understand better how to cope better with people like that. Don’t procrastinate to see doctors. It may save your life. Carpe diem. Take pleasure in this day and do what inspires you for we don’t know what tomorrow will bring. Breathe deeply as it calms the body, mind, heart, and soul. Take your shoes off whenever possible as studies indicate that doing so will prolong your life. Too much alcohol and drugs dull the mind and loosen the lips compelling us to say things we may mean but don’t want said and to say things we may not mean at all. Get a dog or a cat for the love for and from such a creature is unlike anything else we’ll ever know. Speak the truth but only when you know you can be effective and only if it doesn’t cause another person unnecessary harm or hurt. Otherwise, be quiet. Stand up to bullies wherever they are and whenever you encounter them. Time does heal almost everything. Don’t fear or resist change for it is natural, necessary, and an opportunity for growth. Don’t envy other people’s talent, circumstances or life – you already have everything you require. Love isn’t just a matter of the heart – it comes from God. Learn Torah as often as you can – it will enrich, change, and enhance your life and it will inspire you to do what you might never choose to do otherwise. Support the State of Israel as the democracy and Jewish State that it is regardless of its imperfections, for Israel remains the best hope for the Jewish people to create a utopia worthy of the ethics of the Biblical prophets. Now, let’s live our lives forward. I first met Rabbi Leonard I. Beerman when I was eleven years old when my mother, brother and I joined Leo Baeck Temple in Los Angeles in 1961. My father had died two years earlier and we needed a synagogue and a rabbi. Meeting Leonard had an impact on me that I could not have anticipated. As a young boy I looked at him from afar with a sense of awe. His resonant voice and gentle manner comforted me, and his message stirred and lifted me to think about life and the world in a way that no one else did or has since. There was no Rabbi on the American scene like him. No one had as much moral courage and insight. No one was as principled. The only other Rabbi who compared to Leonard as a moral leader was Rabbi Abraham Joshua Heschel. Leonard Beerman became a father-figure for me but I didn’t realize it until I spoke with my wife after I had finished reading this volume “The Eternal Dissident – Rabbi Leonard I. Beerman and the Radical Imperative to Think and Act” edited by Professor David N. Myers, Professor of Jewish History at UCLA (2018). The book includes forty sermons and essays accompanied by commentaries by forty of Leonard’s friends, colleagues, congregants, and students from across the religious and political spectrum – I am one of them. She was, of course, right. I suspect I’m not alone. Leonard was like that. People felt seen by him, and they loved and revered him as a great moral rabbinic leader. He was as eloquent a writer and speaker as there was in the American rabbinate. Strangely, Leonard didn’t think he was a very good writer. He was so wrong. He was among the most thoughtful and moving writers and thinkers that there was on the American Jewish scene. Leonard drew liberally from the visions of the Biblical prophets and classic Jewish text while weaving poetry and other literary sources together as he reflected about what it means to be human, moral and accountable. He was tortured by the suffering of the innocent. He loved Israel but didn’t spared his moral critique of Israeli oppression of the Palestinians under occupation. Leonard served as a US Marine during World War II and he fought while studying at the Hebrew University in Jerusalem before and during Israel’s Independence War. I asked him about the impact of his military service in those two wars. He explained that he served twice to test himself, and he came away a confirmed pacifist. Reading “The Eternal Dissident,” especially at this time of year in the Hebrew month of Elul before the High Holidays, prepared me spiritually and morally to lead my congregation for the last time before I retire next year. Leonard’s soft yet powerful and resonant moral voice rings in my ears. Even in his death he has given me a precious gift. The last time we shared lunch together was only a month after the end of the fighting in the 2014 Israeli-Hamas War in Gaza. He and I both were preparing to speak about the war (we did so very differently). His sermon was highly critical of Israel even as he acknowledged the brutality of Hamas. For me, his pacifism was a conundrum of conflict. But he did not budge from his moral convictions. I wrote to David Myers (the editor of the volume and Leonard’s dear friend) and Leonard’s widow, Joan, when I finished reading the book this week to thank them for producing this extraordinary volume. A better model of a man, a more courageous religious leader, and a kinder, more sensitive and provocative rabbi there has not been in the American rabbinate in my memory. This book ought to be read by every religious leader in every faith tradition, and by atheists and skeptics too. Few works are as important as this one, and I recommend it without hesitation. You can find it on beermanfoundation.org. 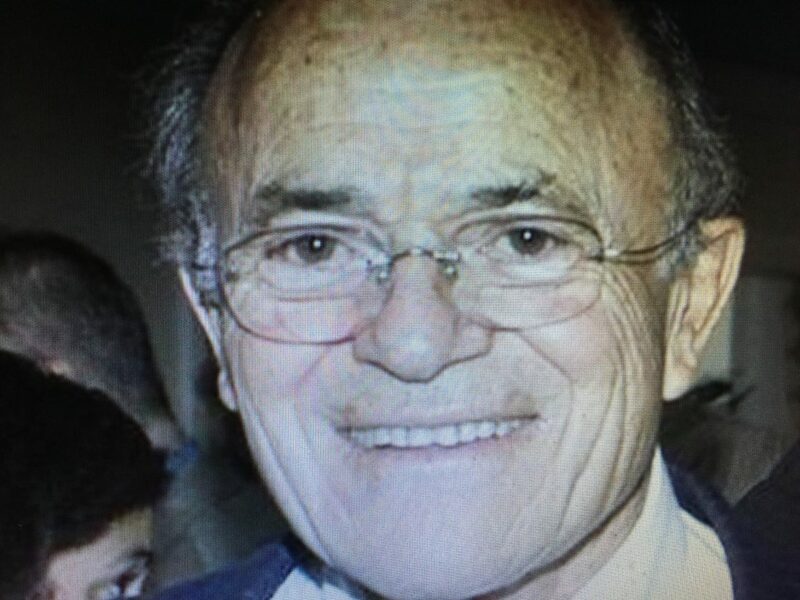 I mourn still the loss of Rabbi Leonard Beerman. His life, however, is impressed on my heart and in my mind and soul and always will be. In this I know I am not alone. Last week (August 9) an article appeared in the opinion section of the Forward under the title – “Stop Trying to Bring Reform and Conservative Judaism to Israel – We Already have too much Religion” by Einat Wilf and Ram Vromen. The article set up a straw dog paradigm that is faulty on so many levels it is difficult to respond. But Rabbi Gilad Kariv did effectively as a follow-up letter to the editor. Rabbi Kariv is President and CEO of the Israel Reform Movement. Rabbi Kariv shows that Reform Progressive and Liberal Judaism is an authentic Israeli movement and that progressive Judaism is a necessity for Israel’s future both as a Jewish and democratic society. I am including links to both the original article and Rabbi Kariv’s response which offers links to surveys completed fairly recently that show both the growth and potential of Reform Judaism in Israel. I urge you to read both items. Note: I serve as the national chair of the Association of Reform Zionists of America (ARZA), the American Zionist arm of the Union for Reform Judaism and a partner with the Israeli Movement for Reform and Progressive Judaism. This article ought to upset any American Jew who loves Israel and believes in Israeli democracy but is starting to get worried that, as Peter Beinart notes, Trump has emboldened PM Netanyahu and anti-democratic forces in the State of Israel. Peter reminds us, and I agree wholeheartedly, that we in America need to support those Israelis and Israeli organizations that support democracy and human rights in the Jewish State. The following link leads to a statement made by Rabbi Josh Weinberg, President of Israel, on behalf of the American Reform Movement concerning the fighting between Israel and Hamas in Gaza. Note: I print with permission a commentary by my colleague, Rabbi Joel Schwartzman, on the tragic events of a year ago in Charlottesville, Va. when Heather Heyer, a protester of the white supremacy rally in that city, was mowed down deliberately a Neo-Nazi thug thus murdering her. See Heather’s obituary in the New York Times from a year ago. “These words that Dahlia has written quantify and characterize what Charlottesville has come to mean for me as well as the nation. I who have a working knowledge of the origins and outcomes of the Holocaust see and hear echoes of that unspeakable, unfathomable epoch in Jewish history. This is not the case for the generations of Americans and American Jews that have followed mine. They aren’t haunted by visions of death camps and crematoria. I who live part of each year in Charlottesville walk its streets, know where and what happened on which avenue and at which park, and know that the spirit of what tormented and murdered European Jewry is alive and well in America. It has the tacit approval of the leader of this country. 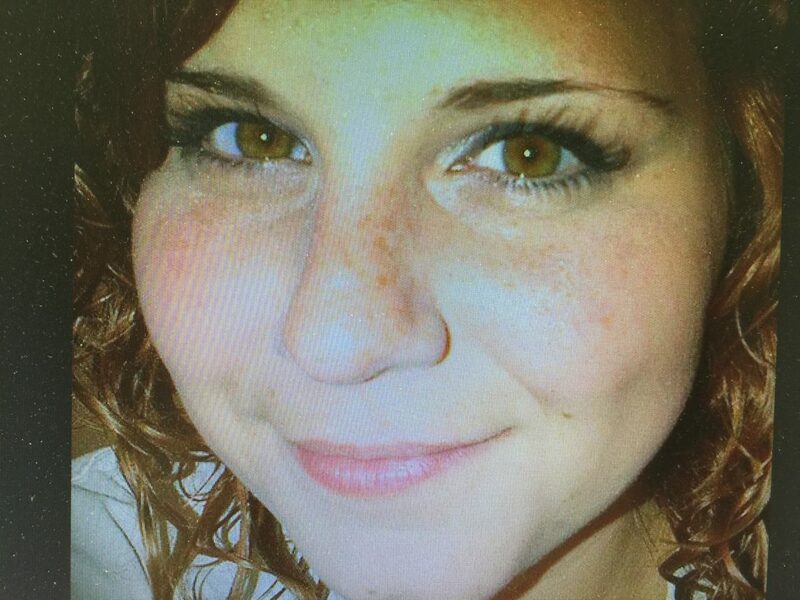 This anniversary weekend, it will raise its ugly, bigoted and all too potentially violent head once again, although, one hopes, not necessarily in Charlottesville itself. The name of Charlottesville has taken on an instant and symbolic meaning which is so terribly unfair and tragic because the people who live there were stigmatized and terrorized by an invasion of thugs for whom they didn’t bargain and for which violent chaos they were unprepared. Now they wear a national label, a label that associates this bucolic town with the worst that humanity has to offer. On this first anniversary of Heather’s death, we say zichrona livracha – May she be remembered for a blessing. 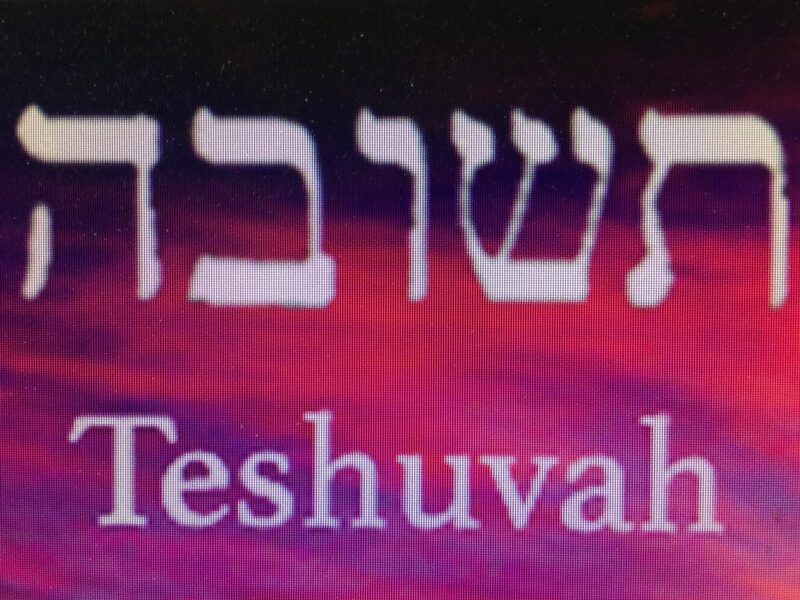 The following are selections from Jewish literature about Teshuvah (lit. return, turning, response), the primary occupation of the Jew in the month of Elul beginning Saturday night, August 11, 2018). This is the Hebrew month preceding the High Holidays and the month of Tishrei. There are 40 days from Elul 1 to Tishrei 10 (Yom Kippur) the same amount of time that Moses spent on Mount Sinai receiving Torah.